With nothing less than a victory for the home side acceptable from this game it was indeed United who were quickest out of the blocks, proceeding to dominate the opening 25 minutes. Samuel was first to have an effort but his turn and half volley in 3 minutes went comfortably wide. Canero came closer a minute later after Paul Ritchie headed forward from deep in the United half, however the on-loan midfielder screwed a low right foot effort a yard past the left post. McIntyre had another attempt with a header from a Mark Wilson corner but the effort lacked power and Allan McGregor was able to gather. McIntyre was then set up by an Archibald through pass but couldn’t manage to make contact with the ball after eluding the Dunfermline rearguard. In 12minutes United really should have tested the Dunfermline goalkeeper after Wilson had broken into the box from midfield. His cut-back was missed by Samuel from 8 yards and, although Canero did manage to direct an effort on goal, Greg Ross was able to block. Barry Robson then tried his luck with a header from a Mark Kerr cross but the attempt again lacked power allowing the keeper to gather. The breakthrough deservedly came on 25 minutes and it was a strike which displayed both simplicity and brilliance. A long free kick by Stillie was flicked on by McIntyre and, composed as you like, Collin Samuel lifted the ball over the on rushing keeper Allan McGregor and into the net. 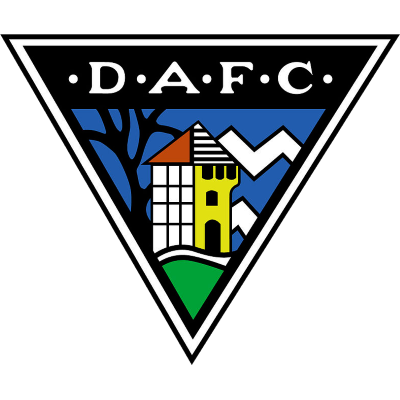 Instead of lifting the home side however the goal served to fire up Dunfermline who were level again within 6 minutes with their first clear attempt on goal. Dunfermline won a free kick wide on the right which was delivered by Lee Makel and met by the head of Scott Wilson who headed firmly into the right corner unchallenged. Despite controlling the match until this point United almost found themselves behind after Andy Tod then came close for the Fifers. Stillie initially made a good save from a Greg Ross header before Tod missed from close range under pressure from the United defence. 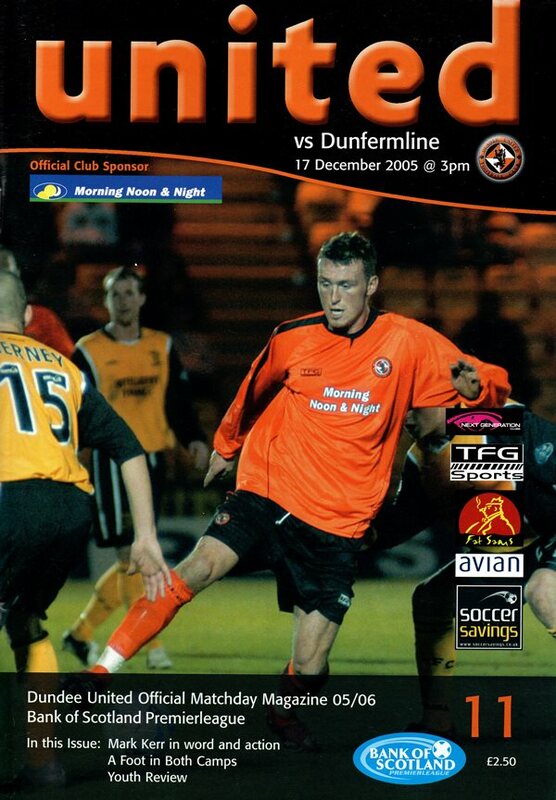 United were however back in front 4 minutes before half time after Greg Shields handed Barry Robson a set piece opportunity for a foul on Samuel. The winger curled in a shot from the right side of the box which crept into the bottom left corner, with visiting goalkeeper McGregor looking slow to react. Unbelievably the hosts almost surrendered the lead again minutes later when Mark Burchill was put clean through. Stillie saved superbly with his feet but the ball deflected off Mark Wilson and headed back towards goal, with the youngster just able to recover and hook away to safety. Just before half time the Terrors came agonisingly close to increasing their lead when Grant Brebner thundered a half volley off the head of Greg Shields for a corner. From the corner Canero hit the woodwork when his header back across goal dropped down onto the crossbar before being cleared. The second period proved to be less plentiful in the way of goalmouth incident as neither side was able to sustain any real pressure. The first effort on target in the half came on 57 minutes when Lee Makel shot from distance, however his powerful strike was right at Stillie who was able to parry away to safety. Shortly after David McCracken saw a header from a Robson corner drift wide before the game began to become lost in a midfield battle. In 70 minutes and out of the blue Dunfermline were close to restoring parity. Stillie failed to gather a high ball into the box before it dropped at the feet of Dunfermline sub Noel Hunt. His effort from inside the area was well blocked by Archibald before Ritchie mopped up. With only minutes remaining Derek Young looked to have broken clear however was flagged for offside before his touch was blocked by Stillie. There was to be one final scare for United in injury time as Young again latched onto a knock-on in the box. From 6 yards the ex Aberdeen player steered his shot inches past the left post when he ought really to have hit the target. Shaken by that near escape, United were happy to see out the rest of the game in the opposing half taking every opportunity to run down the rest of the 4 minutes injury time, ensuring a hard earned 3 points were kept safe.